Perhaps you can call it duel citizenship... I signed up on line and just the other day a packet came in the mail. And I really like the bumper sticker. Are you Rogue? 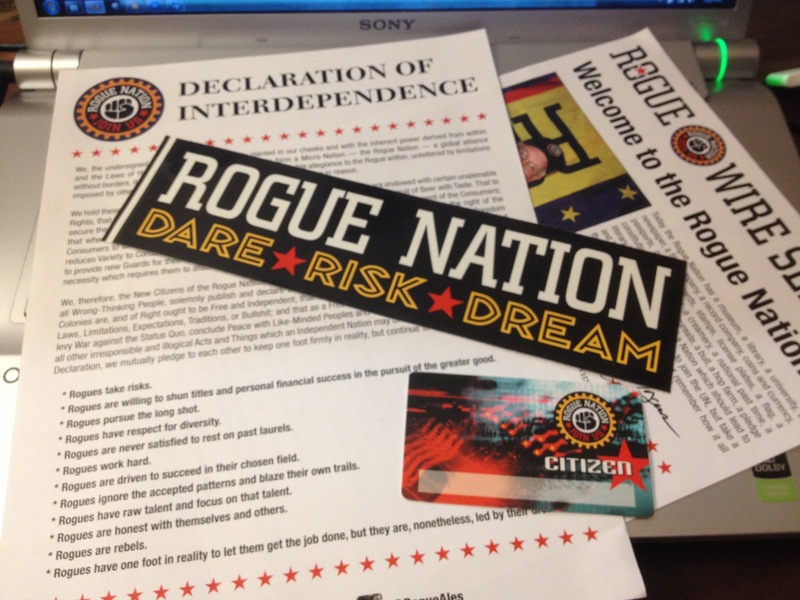 Check out the Rogue Nation here. It is a neat idea. I like the tag line of "Dare, Risk, Dream". I hope to have this attitude daily.